Providing free WiFi throughout the property Krabi P.N. Boutique House is located in Krabi town within 800 metres of Wat Kaew Korawaram. The property is close to several well-known attractions 1.3 km from Chaloem Rattanankosin Stadium an 8-minute walk from Weekend Night Market Krabi town and 1.2 km from Khao Khanap Nam. Thara Park is 2.5 km away. At the hotel all rooms come with a wardrobe a flat-screen TV and a private bathroom. All rooms are equipped with air conditioning and certain rooms here will provide you with a balcony. All units will provide guests with a fridge. Breakfast is available each morning and includes continental and American options. Staff at the 24-hour front desk can provide tips on the area. Krabi pier - Klong Jirad is 2.6 km from Krabi P.N. 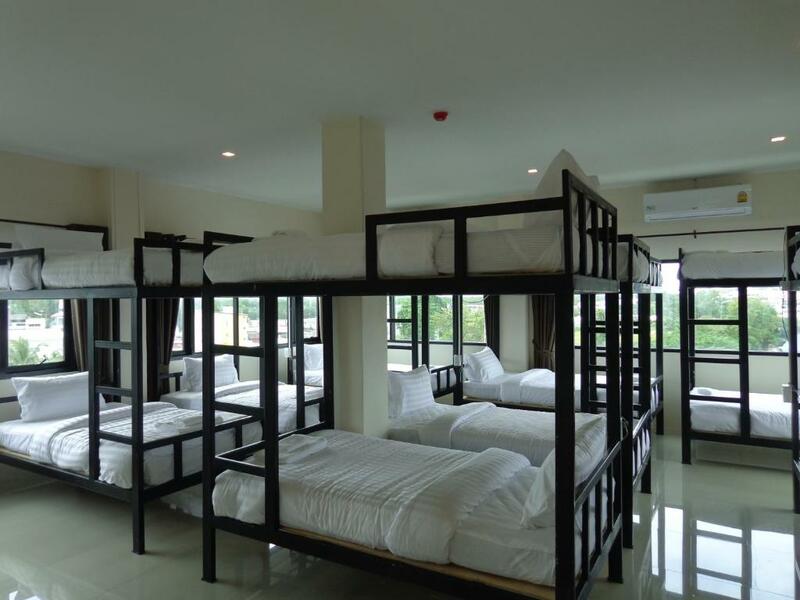 Boutique House while Krabi Stadium is 4.2 km from the property. The nearest airport is Krabi Airport 8 km from the property.